It seems this blog has become dessert central during the holidays. I’m not really surprised, as I’m the baker in our group of friends, but I’ll try to change it up next time to keep things interesting. We had some friends come over yesterday to watch the Bears game. We had a simple spread of chili simmering in the crockpot and cornbread to eat throughout the game. 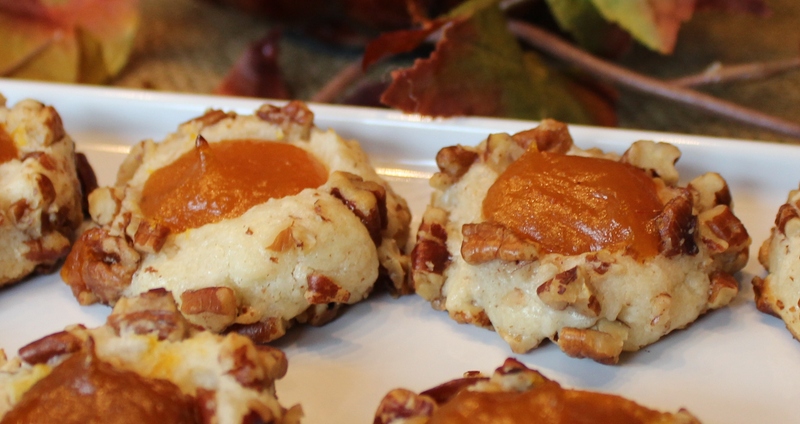 I tried something new for dessert – these thumbprint cookies. I had a jar of pumpkin butter sitting around that I wanted to use. I had some pecans from the pecan pie bars. I immediately thought of thumbprint cookies. This recipe became my base. I had forgotten how good cookies are with a cream cheese base. Yum. These cookies are a great dessert if you want just a hint of sweetness. The cookies themselves have a more muted flavor with the star being the pumpkin butter. 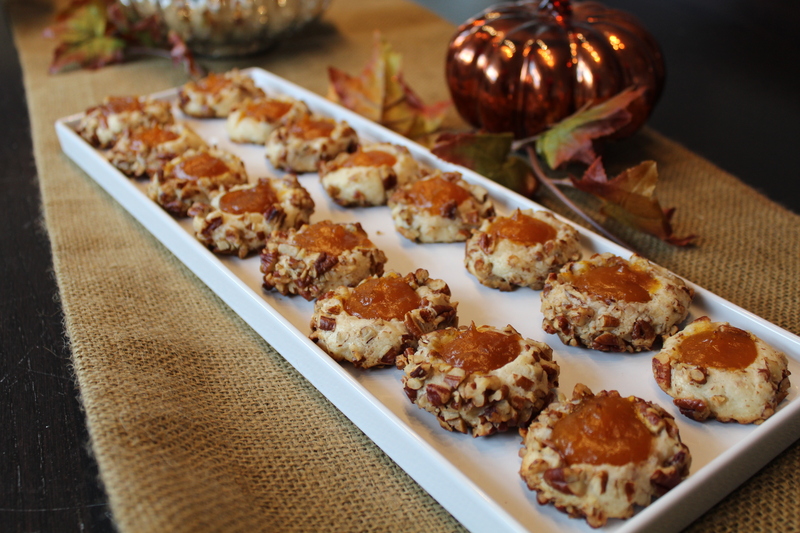 Pumpkin butter isn’t super sweet, certainly not as sweet as jelly, which is traditionally used in thumbprint cookies. The pecans added a nice crunch and texture. You could skip them, but I wouldn’t. They really helped make the cookie. I love the way they look too. Well, if you were wondering what to make for Thanksgiving dessert, I think you have some pretty worth contenders in the recipes I’ve shared over the past week. If you do try a recipe, definitely let me know how you like it.